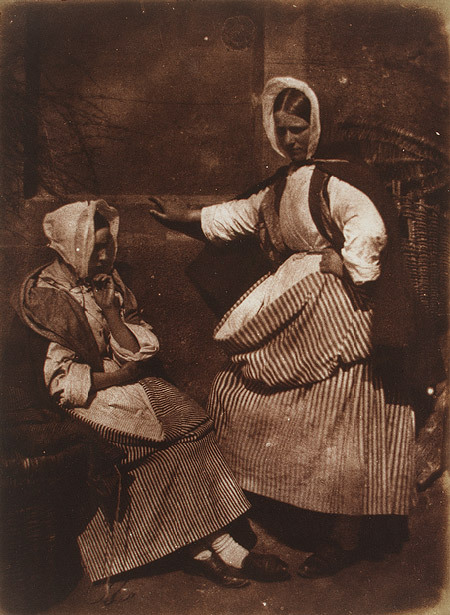 I haven't been taking many photos recently, so here's a classic from Hill and Adamson: Newhaven Fishwives (1845). Thanks to Bryan Appleyard for the steady supply of great photos. Should preachers use jargon when preaching? Liam Thatcher helpfully answers yes and no. Talking of jargon, what do we mean by "woman" and "man"? Careful answers that trust and comprehend what God has said are needed, and Andrew Wilson has provided them excellently here and here respectively (ladies first). In a similar vein but coming from a different perspective, Natasha Devon argues on the vital place of the father in a family. Most people I know who try to pray find it difficult for one reason or another. If that's you, I'd strongly recommended Paul E. Miller's grace-filled book, The Praying Life. For a rather shorter inspiration, find out how getting a free charity diary helped Jennie Pollock's praying improve. You wouldn't guess it during the football transfer window but continuity is one of the most important characteristics of a team. Gary Neville, who learned from one of the best, explains why.